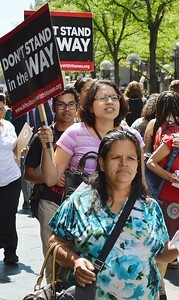 Latinas demonstrating for economic and reproductive justice, including better wages, marched and passed out fliers on the downtown Denver mall. 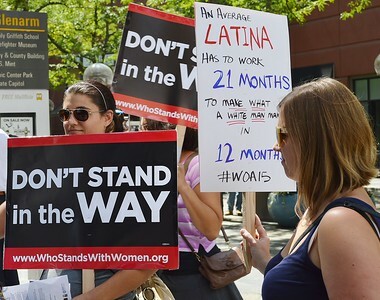 Young woman holding "Stand with Women" sign at demonstration for Economic and Reproductive Justice for Latinas. 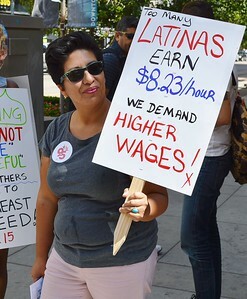 Woman at protest holding sign about low wages for Latinas. 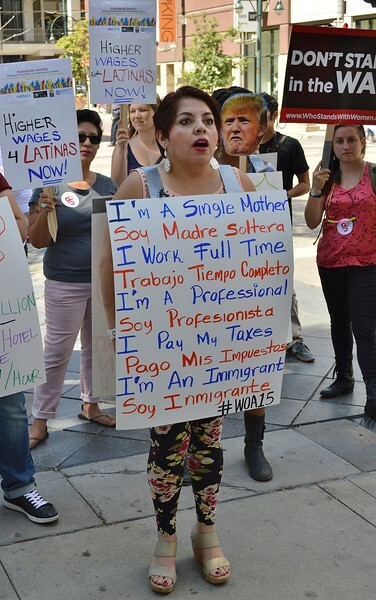 Youg woman holding sign about unequal wages for Latinas, another woman with sign "Don't Stand In the Way" stands next to her. 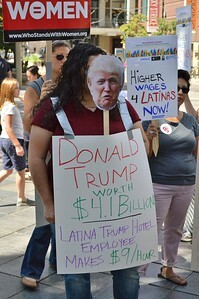 Woman with Donald Trump mask in front of her face holding sign about low wages at Trump hotel. 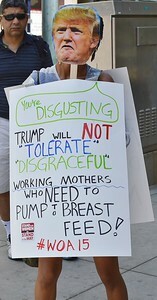 Woman with Donald Trump mask in front of her face holds sign objecting to Trump's comments about breast feeding in the workplace. Single Latina mother holding sign in English and Spanish at demonstration for economic and reproductive rights, other protesters with signs about higher wages standing behind her. 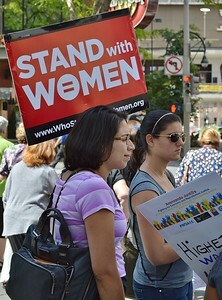 Young woman marching with sign reading "Don't Stand In The Way" and "Who stands With Women", other protesters marching behind and in front of her. 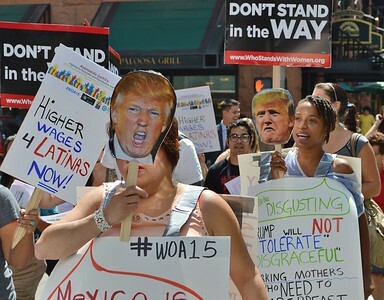 Two women in march for equal rights for Latinas holding Donald Trump masks in front of their faces. 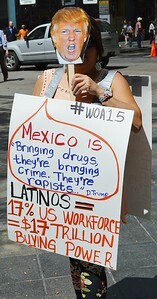 Woman with Donald Trump mask in front of her face holds sign replying to Trumps comments about immigrants from Mexico. 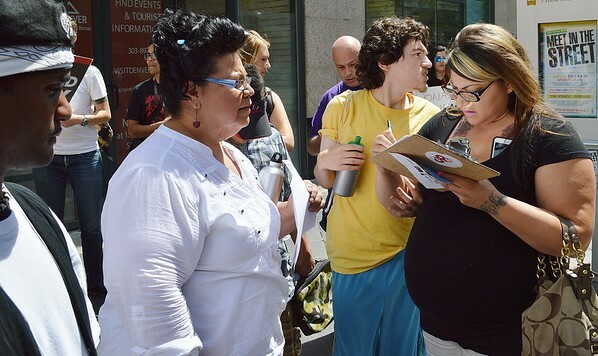 Latina activist watches as another woman signs a petition.